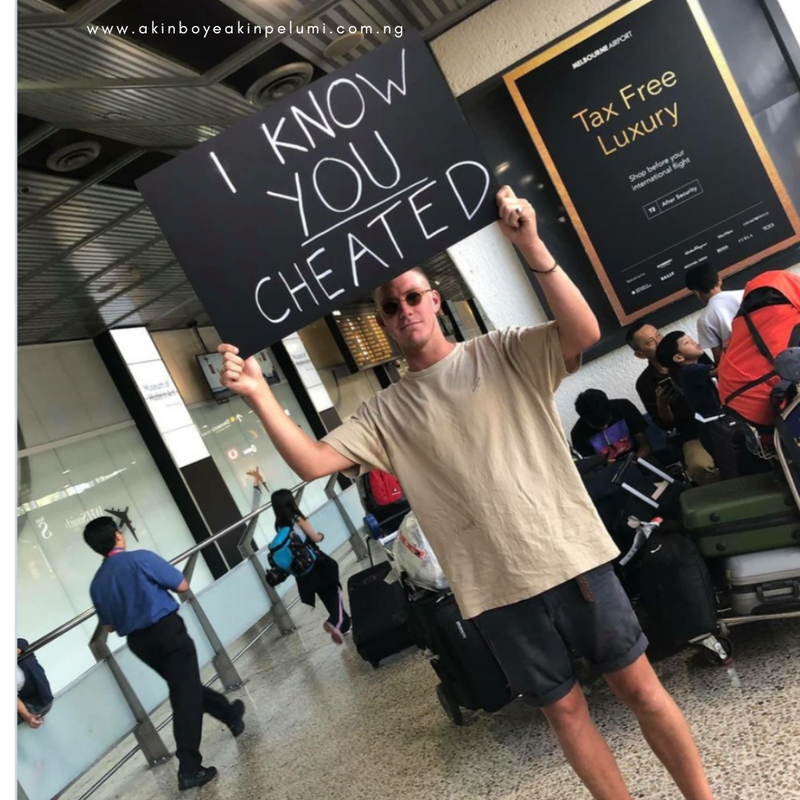 One man in Australia was photographed waiting at the Melbourne Airport arrivals gate holding a large sign letting his partner - and the world - know he knew about her infidelity. The abandoned sweetheart gladly shows a sign announcing, "I know you cheated." The image was posted on Twitter where it has accumulated over 400 comments and 76,000 likes. It is not clear if his cheating partner showed up and saw the sign. I put together some of the comments below. In her (the cheating partner) defense, @JustMyselfandIo said she will cheat on him because of the look of his sandals. @jourrrrr in a comment defended the man. She said the comment before (above) is the reason why so many can't find a good man. This is the weirdest take I’ve ever scene.